Need An Orlando Florida Webmaster? Being a web developer, I find a lot of my time spent in some very key apps like text editors, web browsers and of course FTP Clients. For the longest time I had been using FileZilla and it worked fine for a while until I began to wonder if there was a software that would integrate with my system better and allow me to connect through Web Dav and Amazon S3 servers. After a while of research I came across this awesome program called Transmit by Panic. Transmit is a pretty nifty app because it integrates well with Finder and has a couple of cool features like Disks, which is a way to mount a web server onto your Mac like it’s an external drive. You can view and access all your files and drag and drop files to your server as if to a flash drive. You can also view and edit the files from your computer, and upon save have the changes written automatically. Although, keeping a backup is always a good thing, but it’s awesome for making quick changes. In addition to disks, I like having features like linked folder browsing. If you have a site entirely downloaded in a directory on your computer and the file and folder structure is the same as on your server, you can link the navigation so that as you move through directories on your server, it also moves them through your finder. However, aside from the good things that it does do, where it really excels over Filezilla is I can change the default actions of what the double click function does. Instead of it always transferring files to and from my server, I have it setup to open the file in my text editor by default. Another good selling point for me was the syncing feature that allows me to sync my local directory to the server or sync the server to my local directory. It also lets you simulate the sync telling you what is going to happen before you commit. It basically just makes sure all files and folders in one spot match those in another. 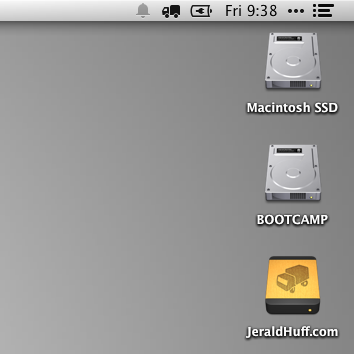 In finder I really enjoy being able to press the spacebar on a selected file and seeing a preview of it. This can also be achieved in Transmit by selecting the file and hitting the spacebar. Aside from all it’s good points, there are only a few things that I find irritating. For starters, I can’t download all the folders above a file the way Dreamweaver can. 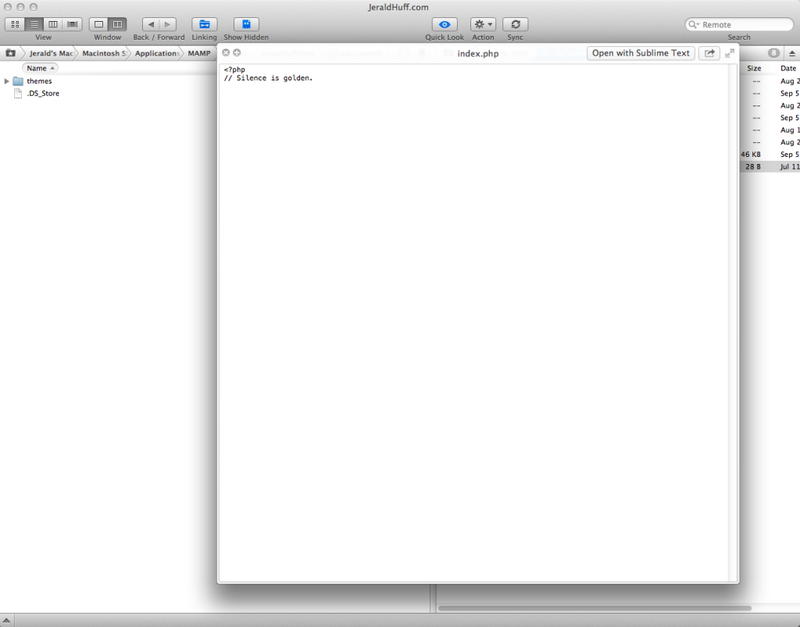 For instance, in Dreamweaver I may want my functions.php file in my theme. Normally, Dreamweaver will download the functions.php file as well as the directories it’s contained in. Transmit nor FileZilla do this. Transmit also has slow refresh rates. Waiting to see all the files and folders on some of my sites can take some time. However, if you haven’t used it, download it and try the trial of the software to see if it’s a fitting client for you! It has been great features that I think out weight some of it’s faults. Leave your name, number and email address and I will contact you as soon as possible! Thank-you!